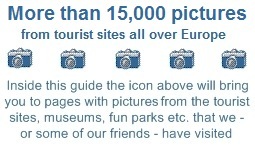 Aircraft Museum - European Tourist Guide have found a lot of interesting museums and tourist sights that focus on the European aircraft, aviation and space history. At these museums you will find a lot of both old and more modern civilian and military aircrafts and helicopters. You will also find space rockets and other stuff related to the European aviation and space history.